Fermented foods are good for you. They are rich in probiotics that introduce beneficial bacterial to your digestive system. Research is indicating that fermented foods can boost your immunity and even reverse some diseases. There are other benefits of fermented foods. They are easy to make and preserve and are budget-friendly. 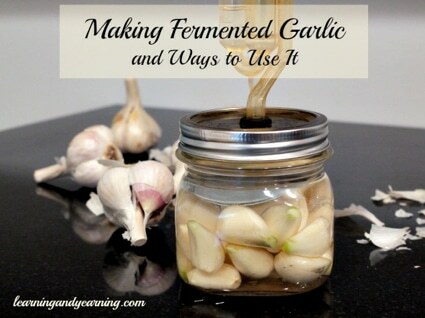 We found a wonderful recipe for fermented garlic over at Learning And Yearning. They also offer four recipes you can make with your new batch of fermented garlic to use it in everyday meals. Of course, fermented garlic can be enjoy straight from the jar.